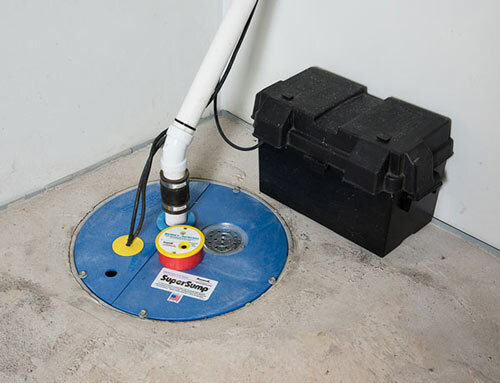 SuperLiner® This premium plastic sump liner is the attractive alternative to an open sump pit. Perforations in the liner capture ground water, and a larger opening connects to the interior drainage system. 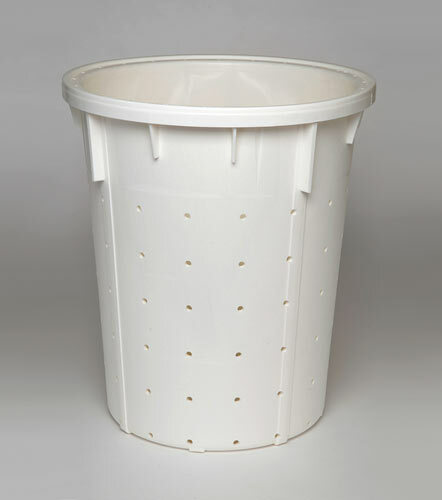 The liner's airtight lid keeps out pests and debris, while also eliminating the safety hazard of an open sump pit. Floor drain If a plumbing leak or other unforeseen accident puts water on your basement floor, a one-way floor drain in the lid will allow this water to drain into your sump system. 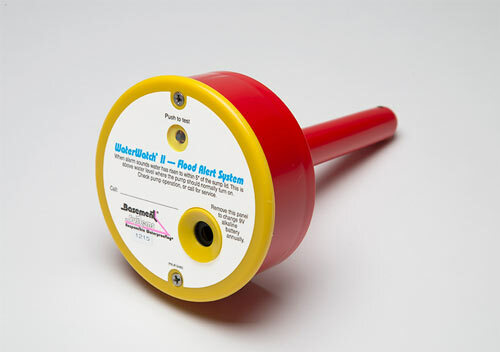 WaterWatch® Alarm If a power outage, tripped circuit breaker or other malfunction shuts down your sump pump, this alarm will sound when water level rises above the sump pump intake. 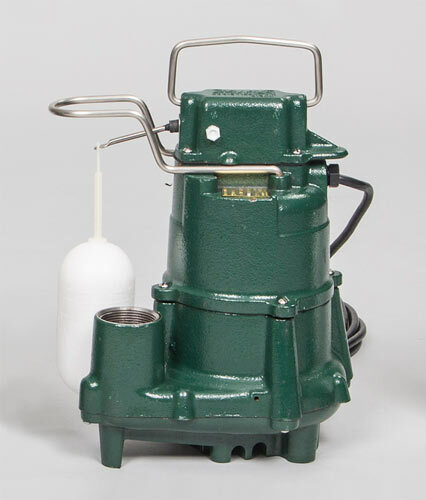 Zoeller cast-iron, 1/3 HP pump Inexpensive sump pumps with plastic housings are prone to overheating and burnout. All Basement Systems sump pumps are equipped with powerful, top-quality Zoeller sump pumps. 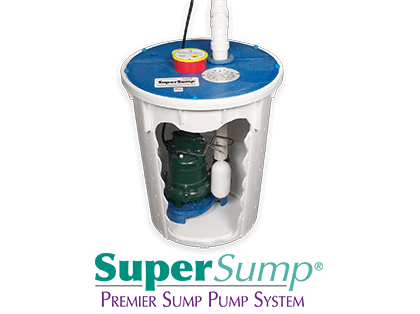 The unit installed in our SuperSump® is one of the best, capable of pumping up to 2,280 gallons per hour. CleanPump® pump stand This patented stand elevates the sump pump intake port to help prevent clogging, which is a common cause of pump burnout. Check valve Installed in the drain line, this valve prevents pumped water from re-entering the sump pit. Improved float valve Cheap "ball-on-wire" float valves are prone to snagging and other malfunctions. We use only linear-motion float valves for reliable, long-term performance. 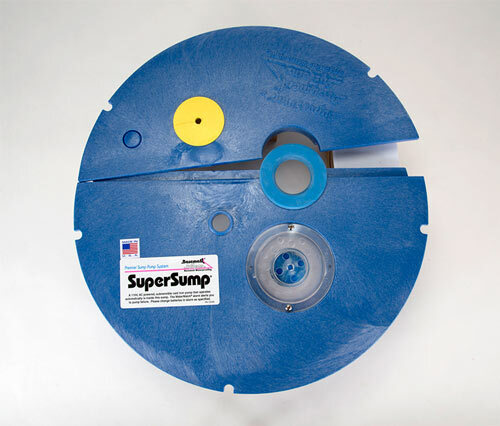 Looking for product pricing on the SuperSump®? The SuperSump® system is only available from a certified installer in your area. 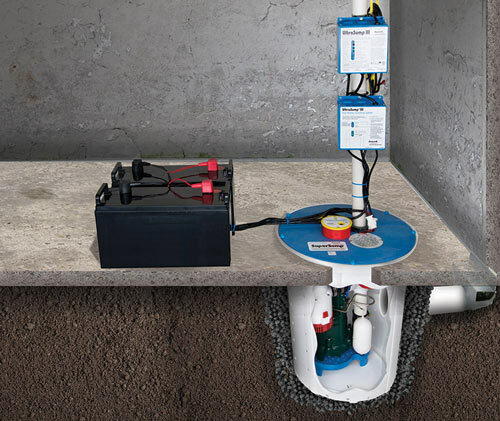 Contact Basement Systems today request an in-home consultation and get a free cost estimate to have this reliable sump pump system installed in your home.